I picked this book up as an impulse buy. I was in Target, buying a birthday present for a 10 year old. I cut through their book department on my way to the toys in case anything jumped out at me. I immediately stopped when I saw the title. I never buy a book based on the title. I almost always have a hard recommendation from someone who knows my tastes, or reviews to bolster the credibility of an unknown. Either way, it’s very atypical for me to impulse-buy a book. 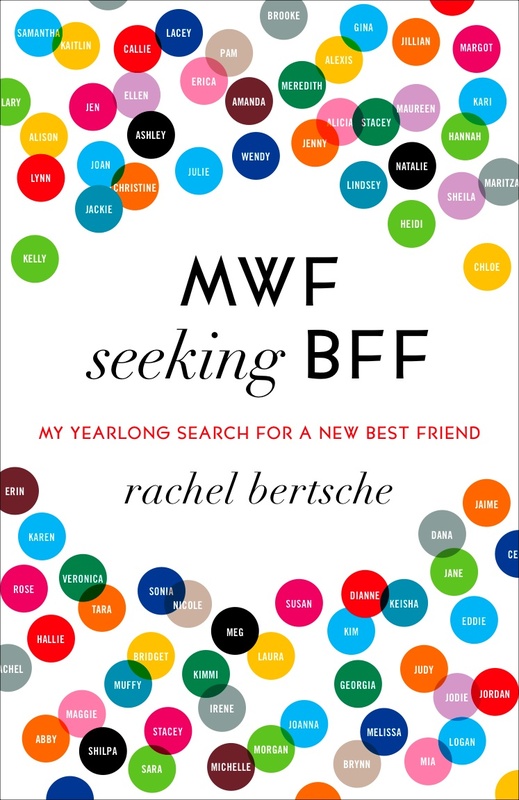 A quick glance over the book tells me that the author, Rachel Bertsche is planning to go on one friend-date per week for the next year (52 dates) in a quest to find a new best friend in her new resident city of Chicago. We just moved 6 months ago and I chose the book because I’ve been on my own quest to make a new BFF since losing my 2 “besties” through what Bertsche pinpoints as the at-risk age for female friendships: 25-40, the career building/baby-making years. Motherhood is isolating. I felt like I instantly related to her quest, since it was born out of her move to a new place, just like mine. Sure, I have mom friends and I’ve made nice with my kids’ friends’ parents and I’m capable of meeting new people at a birthday party or social event. But, I don’t have what Bertsche defines as a BFF. In the beginning of her journey, she states that she’s looking for the “What are we doing today?” BFF, the “Let’s get last minute lunch and pedicures BFF.” A quick run-down of my friend list tells me that I am not close enough with any of them to call them with those last minute suggestions. And how accurate is that as a definition of what you want in a BFF anyway? So, despite my own life situation, being a recent transplant and a mom, what did I think of the book? Well, my life situation has everything to do with how I feel about the book. I’m trying to glean hints from this book that I can apply in my own life. What is my take-away from this book? How can I apply what she has learned? How can I go on my own quest to find a new BFF? My main criticism of the book is that it’s not as relatable as I would have expected. It started out strong. I love the research she cites throughout the book. I learned about the British anthropologist that created the theory of how many relationships one can maintain (based on brain size). Spoiler alert: it’s 150 for humans. I learned a lot about the stigma of looking for friendships and loneliness, as well as startling statistics about how social support can extend your life. I think Bertsche has narrowed her audience by emphasizing her social status a little too much. She claims to be upper middle class. She’s from New York, she’s Jewish, she went to a great college and is married to a lawyer. Does any of the sounds familiar or relatable? Maybe so, let’s keep going. 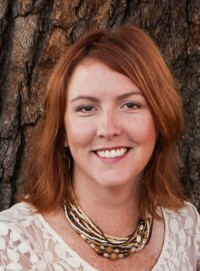 I’ll also mention here that she worked for Oprah’s Magazine, O, and has interviewed celebrities like Vince Vaughn. Still feel that that is totally YOU? She talks about eating out, joining classes and signing up for “friend-dating” websites – all of which require money, and plenty of it when you are going on as many as 5 friend-dates as she did each week (because she goes on follow up dates with many of the women she meets). She emphasizes how she made friends in her childhood and has a few reunions throughout the book. Bertsche reveals that she visited Tripp Lake Camp every year for her whole summer from the time she was 8, and that was the kicker for me. That was when I really stopped relating. Forbes published an article in 2010 called “America’s Priciest Summer Camps: Where the Wealthy Send their children for the summer.” Guess which camp was in the Top 10? With a price tag of $10,400 per summer, you got it, Tripp Lake Camp. So while her parents were sending her to camp to the tune of $100,000 throughout her childhood, I’m living the life of the actual middle-class and have completely stopped relating to the author at this point. The basis of her idea is good, but the delivery falls short when the scope of relatable readers is narrowed so far. I think women should make a better effort with each other, and approach one another, take the jump, and make a new friend. I like the idea of expanding my social circle to find a few more “lifers” that live nearby. But all in all I left the book feeling lukewarm. My final criticism is that I felt the ending was anti-climactic. It was quite a buildup throughout the book. There were times when I was cheering her on, hoping she could meet the “TV-loving, pop culture fan” she so desperately sought to be her match. Who ended up as the BFF in the end? Spoiler alert: No one. How’s that for disappointment?